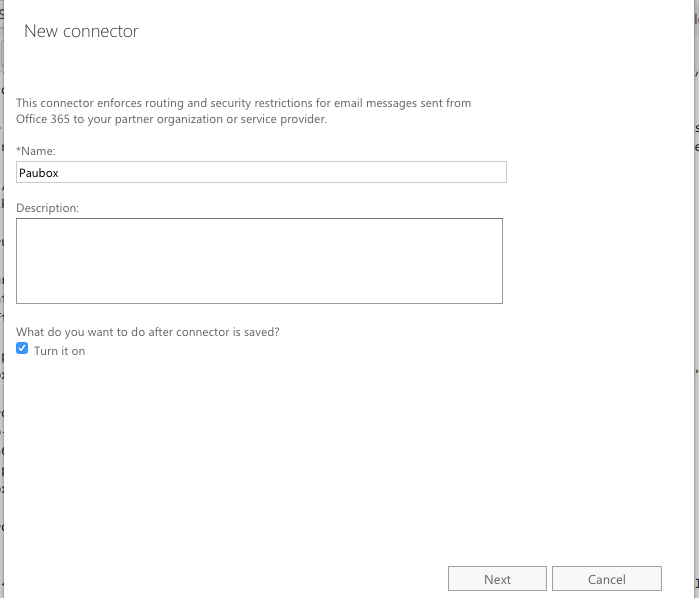 In this help center article we go over how to install Paubox's outbound encryption service with Office 365. There are three things you will need in order to complete the Paubox install. 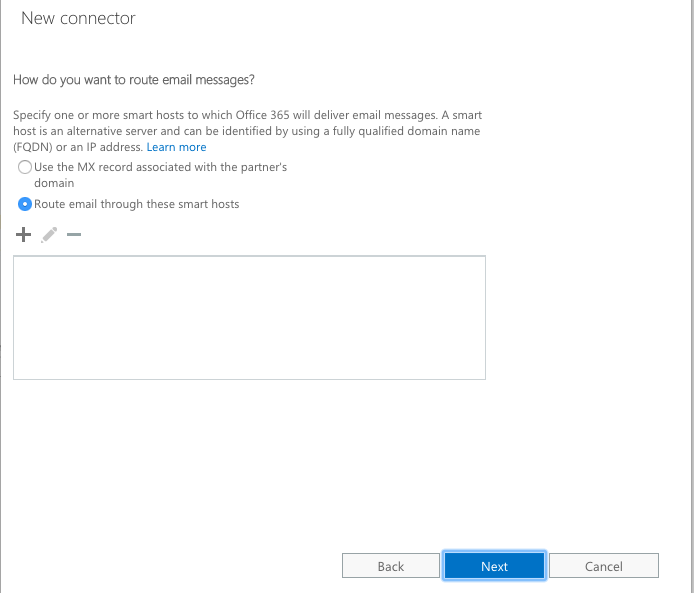 In order to avoid the pitfalls of an email encryption portal service like Zix, Virtu, and other providers, we have to create a secure outbound relay between Office 365 and Paubox. This allows your outbound emails to get relayed through our encrypted servers and remove the dreaded portal email notification experience that your patients, clients, and customers hate. This install takes no more than 10 min to complete and is effective immediately. We have defined the process into 3 parts. Part I walks you through creating the Outbound Gateway in your Office 365 Admin Dashboard. 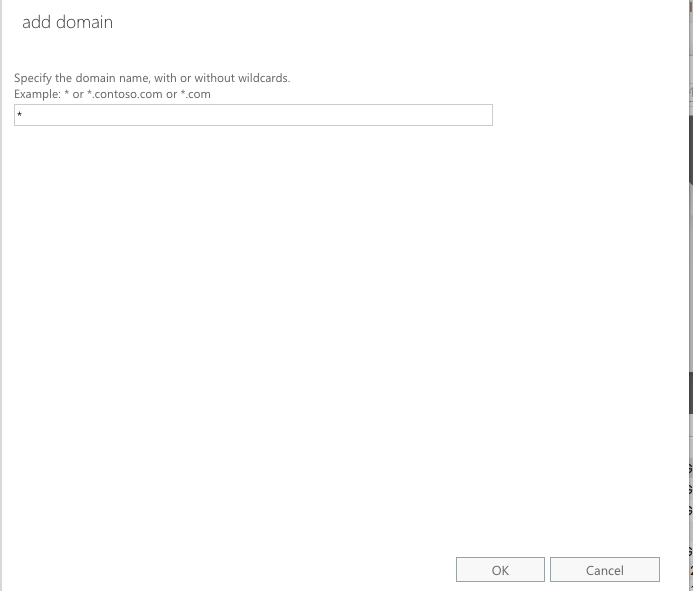 Part II walks you through updating your TXT record in your Domain Host. Part III goes over sending a test email. 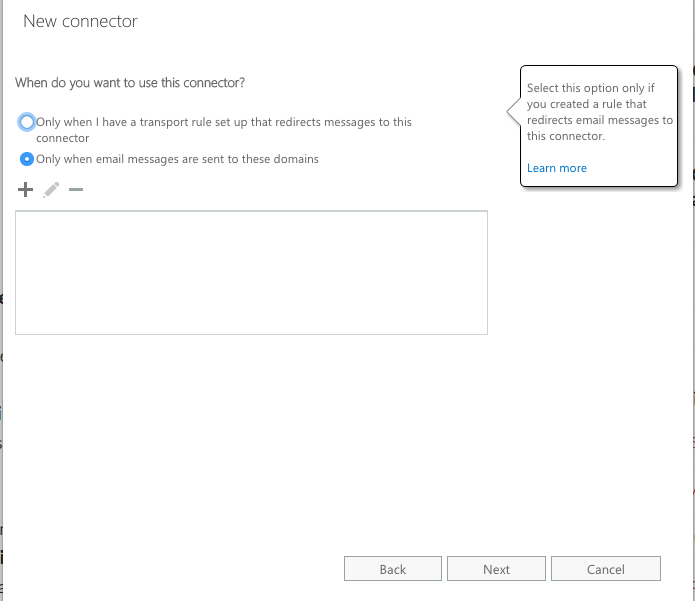 Go to https://outlook.office.com/ecp to access the Exchange admin center. If you haven’t logged in already, you’ll need to do that first in order to be granted access. 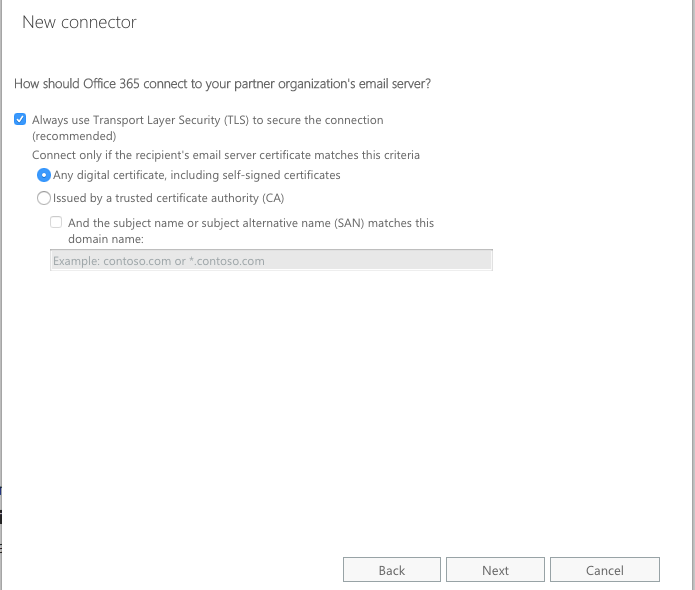 On the next screen, make sure Always use Transport Layer Security (TLS) to secure the connection (recommended) and Any digital certificate, including self-signed certificates are selected. Click Next. ... and then click Next. The Paubox connector for Office 365 is now live. Login to your Domain Host. Click on the Control Panel and/or Manage DNS Records link. Click Add at the bottom of the Records section. Click the Type dropdown and select TXT. Enter @ in the Host field or your domain if it does not accept the @ symbol. Enter the following in the TXT value or Text field. If you have multiple tools that you use to send emails like Sendgrid, Survey Monkey, etc, then use this Help Center Article to see an example of how to create a custom one. Leave the default value in the TTL field. Remove any prior TXT records. Congrats you have sent your first encrypted email!